I have had the honor and privilege to lend my support and time to many organizations since moving to the North Bay in 2009. In addition to the roles I serve, it is part of my business practice to extend a service discount to non-profit organizations so I can better help them deliver the important work they are doing in our communities. In 2017, after my 3rd attempt, I was appointed to a 4 year term on the Public Art Committee and am honored to have received the support of our city council. I sit on the committee with some amazing Petalumans who are also dedicated to the arts and how art can impact our world view and our communities. The City of Petaluma’s public art program is committed to enhancing the appearance and cultural richness of the City by incorporating works of art into public places and fostering art within public view or access in private developments. The public art program encourages the use of art to celebrate the City’s rich history, its significant environmental assets and the diversity of its community as well as to salute creativity, innovation and artistic excellence. As a sub-committee member of the Water Street project, I am working closely with selected artist Brian Goggin in bringing his vision for Petaluma to life. Northern California is considered the epicenter of the profession of commercial Interior Design and continues to be the innovating force setting new interior paradigms. The Northern California Chapter of the International Interior Design Association (IIDA) is an active, diverse and vibrant community of over 900 Professional, Associate, Educator, Student and Industry members. Our focus is on bringing career advancement through education and networking as well as providing awareness of the value of Interior Design through community outreach where we can actively demonstrate the power of design to enhance and transform not only the environment but the human spirit. We are actively engaged in advancing the awareness and the profession of Interior Design through our advocacy efforts at the legislative and licensing level. In 2018, I will take over as Director for the North Bay City Center, helping to connect with our local and regional members about the interior design profession and projects in the North Bay. Together we will advocate for professionalism and excellence in design and partner with a local philanthropy to bring awareness to design in all facets of our community. This year, we have the honor of partnering with Homes for Sonoma to raise funds and source materials and design for the extraordinary work they are doing to bring timely solutions to our housing problems - made worse by the North Bay Fires of 2017. Check out our events and please join us this year! The North Bay is a unique community whose businesses have distinct needs often underserved by San Francisco-based professional groups. In response to the growing need for local professional development, the Professional Marketing Group-North Bay (PMG-North Bay) was founded in 2011 to provide educational and networking opportunities to the region's business-to-business marketers. With education as its primary focus, PMG also facilitates knowledge sharing and relationship building among the North Bay's marketing professionals by offering a series of programs and events throughout the year. After serving for 6 years on the board of PMG, I will sadly step down in 2018. It has been my privilege to serve with so many incredible professionals working in concert for our business community. Serving as Treasurer and President, I was able to help lead our organization through incorporating as a 501(c)6 non-profit, executing 5 annual conferences, rebranding ourselves, and implementing a membership program. The mission of PMG North Bay is to Connect, Educate & Inspire. If you're a marketer or business owner in the North Bay, I highly recommend checking out the next event. 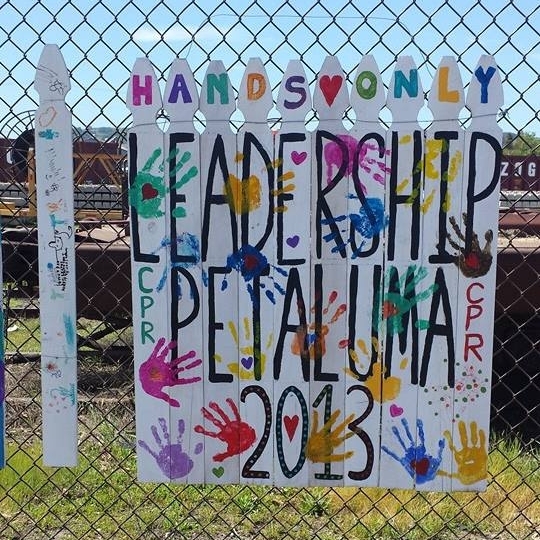 Leadership Petaluma is a program of the Petaluma Area Chamber of Commerce. 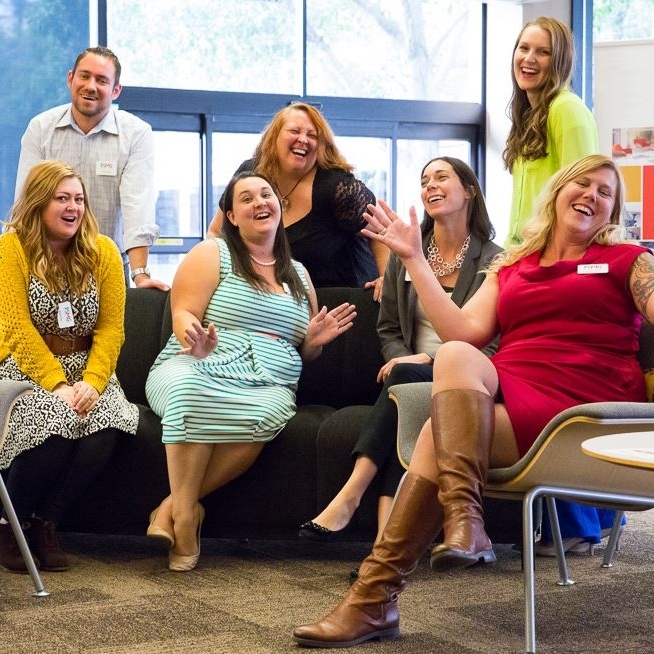 Each year, more than two dozen men and women graduate from the 10-month long Leadership Petaluma program. Ten graduating classes have introduced tomorrow’s leaders to the community, and many of these graduates have gone on to important positions of leadership in our community, in business, government, and non-profits. This year the current class will follow in the tradition of more than 400 Leadership alums. In 2014, after graduating as Valedictorian of my class in 2013, I took over for now Petaluma City Council Member, Dave King, as Government Day Chair. I facilitate a day of learning about the civic structure and form of government we have in Petaluma and invited our elected officials from the city, county, state and federal levels to connect with our class and answer questions. The leadership program is an extraordinary opportunity - a boot camp really - to explore the ins & outs of what makes Petaluma the city it is. If you live or work in the city, I highly recommend it - bonus you get to spend a day in November with me!